This past week has been pretty lazy for me - not too much going on in my life at the moment! I've been in a bit of a funk the past couple of days due to the fact that I got turned down for yet another job opportunity. 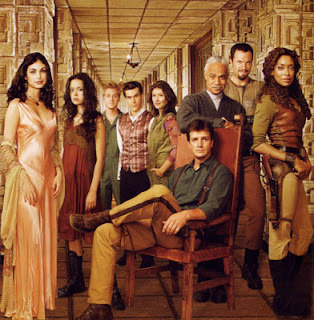 Recently I've started re-watching Firefly on Netflix. I have one very important question for you. How in the holy heckfire did this show ever get canceled!?!? The writing is brilliant, the characters are awesome, the dialogue is funny and touching all at the same time... UGH! It drives me crazy especially when I see what is on TV now (uhm, "Whitney" is still on the air. What is up with that?). Anyhew, I'm enjoying it very much. I've also been reading two separate books for my book club. We've been drawing books from the pot a month early so that A) we can be sure that we have it in time from the library, and B) we can get a head-start on the next month's book if we want to! This month's book is Little Bee by Chris Cleave. So far I like it very much! I'm actually listening to this book on my iPod, as I've been walking to work lately to get a little more movement into my day (and to be environmentally friendly). It's also really nice to take my time getting to work, and to enjoy the morning air. I just love it. Anyway, the girl who reads the book is AWESOME. I believe she's actually British (one of the characters is a British woman), but she does an African accent AND a Jamaican accent perfectly! It's fun listening to her. The book is interesting - sad, but really good. 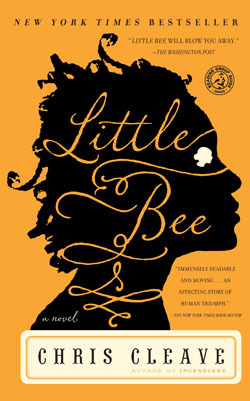 I love the character of Little Bee! I am only about 1/2 way through it, but I'm enjoying it so far. 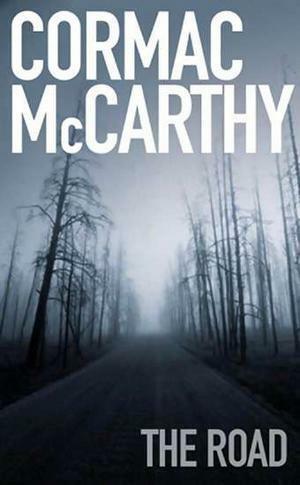 The other book I've been reading (actually reading, not listening to), is The Road by Cormac McCarthy. It's a post-apocalyptic story about a man and his son, traveling across the barren landscape, trying to survive. It won the Pulitzer Prize for Fiction in 2007. This was a book that I put into the pot myself, and I was super excited when we drew it! I've been wanting to read this book for a while (it's my friend Matt's favorite book of all time). I only just started it yesterday, and I can't seem to put it down. I'm about 3/4 of the way through it now, and I just can't stop reading it. It's a very strange book, eerie in mood, but it has a kind of rhythm to it - the days flow into each other, and you really become attached to these characters. It's almost as though I'm feeling what they feel, hearing the silence, my heart beats with fear when they're scared... I feel very involved in the story, and in the character's lives. There are no chapters - it's all separated by paragraphs, and no quotations are used when someone is speaking. It seems like it'd be hard to follow, but it's really not. It's actually very poetic and beautifully written. It's very sad, but I'm so curious about it. We've certainly never read a book like this before, and it has captivated me! Hopefully I'll be able to finish it when I get home tonight! Firefly was AWESOME. I totally agree. Also, I'm LOVING LITTLE BEE! And I can't wait to start The Road. 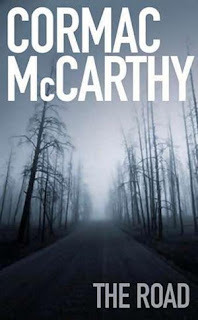 Just finished The Road last night - it was SO GOOD. I totally cried. It was sad and scary and beautiful and wonderful all at the same time. I can't wait to hear what you think of it!